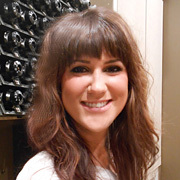 Joining the Cassandra family in 2012, Natalie brings over fourteen years of professional experience along with a lifetime of passion as a certified Goldwell colorist and hair designer. Dedicated to providing the highest level of customer satisfaction with her hair design and color services, Natalie has mastered the artistry of corrective and multi dimensional coloring techniques along with exceptional skills in haircutting and finish work. Certified by the National Board of Cosmetology in their colorist program, Natalie’s work has been featured in Goldwell’s “Project Glossy”.